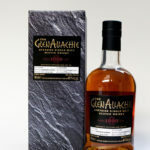 This entry was posted in New Whisky Releases and Bottlings and tagged Caperdonich, Dufftown, Duncan Taylor, Single Malt, Speyside, the whisky shop dufftown, The WSD on 11 August 2010 by Mike. Bottling No 2 is now ready to buy! With the help of our inside man at Duncan Taylor we were able to liberate a small amount of Caperdonich from a single ex-Bourbon cask saving it from being Octaved. It certainly didn't need it! This is one of the best Caperdonich's I've had showing all the complexity of a well aged whisky from a Bourbon cask. During the last few weeks a liberation tunnel was dug into the warehouses of Duncan Taylor while our inside man tunnelled out. He could occasionally be seen walking around the Duncan Taylor warehouse scattering the soil from the tunnel onto the warehouse fall. When challenged by the Duncan Taylor guards he cleverly claimed to be creating a traditional dunnage style warehouse. Genius! When we finally got the whisky out it was a fast motorbike ride (well trip in the van) and a stunning leap over the Deveron to avoid the boarder patrols and get the whisky to Dufftown. Nose: Tropical fruits - mango, pineapple, banana and peaches with pencils, wood shavings, tablet and toffee wrappers. A tropical fruit salad in a wooden bowl. Taste: Citrus, candied lemon and then the more tropical notes re-emerge with more mango and banana. Also a little salt and pepper. Finish: Intense tropical notes with a spicy kick. Reminiscent of a Pineapple Daiquiri. PS: Plans for bottling number 3 are well on their way.